The last week of 2018 is officially upon us. With that said, the month is drawing to a close. That means it's time to examine the next month of dividend increases. Prior to discussing the next month of dividend increases, I'll recap the dividend increases that we received in December. With a week left in the month and year, I don't expect any additional dividend increases. However, if any others are announced within my portfolio, I will revise this article. Realty Income announced a 0.2% dividend increase from a monthly dividend of $0.2205/share to $0.2210/share. Overall, this raise was in line with what I predicted in my expected dividend increases for December 2018 article. This dividend increase of $0.006 a year resulted in an increase of $0.024 in my annual forward dividends across my 4 shares. WP Carey announced a 0.5% dividend increase from a quarterly dividend of $1.025/share to $1.03/share. Similar to Realty Income, WP Carey raised its dividend by the amount that I was expecting. This increased my annual forward dividends by $0.06 across my 3 shares. Ventas announced a 0.3% dividend increase from a quarterly dividend of $0.79/share to $0.7925/share. This dividend increase was well below the 1.9% increase that I was expecting. I'm slightly disappointed by this increase, but quite honestly, an increase is an increase. For every high yielding, low growth stock in my dividend portfolio, I have other stocks to make up for small increases such as Ventas's. That is essentially why we diversify. I don't expect massive raises from a company such as Ventas. Perhaps I should have adjusted my expectations a bit knowing that the industry is facing short-term headwinds, with other healthcare REITs such as Omega Healthcare Investors (OHI) freezing their dividend. Overall, I think Ventas made the right decision and the conservative approach will pay off in the long run. This raise led to an increase in my annual forward dividends of $0.04 across my 4 shares. AT&T announced a 2% dividend increase from a quarterly dividend of $0.50/share to $0.51/share. This dividend increase was as expected as well. Much like Ventas, I don't expect AT&T to go gangbusters and raise its dividend by 10% or something like that. With a company that's yielding near 7%, I simply expect raises roughly in line with inflation, which is what AT&T has delivered for years now. I expect dividend growth to transition from the deceleration of penny increases to larger 3-4% increases in a few years once AT&T shifts its focus from paying down its debt. This dividend increase led to an increase in my annual forward dividends of $0.64 across my 16 shares. Pfizer announced a 5.9% dividend increase from a quarterly dividend of $0.34/share to $0.36/share. This dividend increase was also what I expected from Pfizer, continuing the trend of annual $0.02 quarterly raises. This raise led to an increase in my annual forward dividends of $0.64 across my 8 shares. Amgen announced a 9.8% dividend increase from a quarterly dividend of $1.32/share to $1.45/share. This dividend increase was actually what I expected when I made this projection a few months back in my notepad on my phone. However, I changed my projection upon actually writing my predictions a few weeks back, for apparently no reason aside from the fact I completely forgot about that note of projections. At any rate, this increase led to an increase in my annual forward dividends of $0.52 across my single share. This dividend increase took me and most of the community by complete surprise! Dominion has generally announced their dividend increase in January for the past few years. I expected this trend to continue, but Dominion announced a dividend increase on December 14th, about a month earlier than usual. The company announced a 9.9% dividend increase from $0.835/share to $0.9175/share. This increase was just as management indicated it would be many months ago. My annual forward dividends increased by $0.99 across my 3 shares. Realty Income increased its dividend just a couple weeks ago, but its largest increase of the year will likely be coming in January. Historically, the company has raised its dividend in January by 3-4%. I expect that trend to continue and I am forecasting an increase in the monthly dividend from $0.2210/share to $0.2290/share. If this does in fact occur, my annual forward dividends will increase $0.384 across my 4 shares. Enterprise Products Partners increased its dividend this past October, as it has done for every first month of the quarter for several years now. I expect this trend to continue with a raise in January. I am forecasting the typical raise of $0.0025 that Enterprise has done for 5 consecutive quarters now. 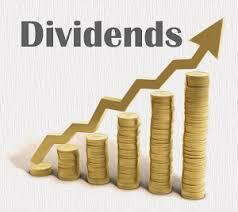 This will increase the quarterly dividend by 0.6% from $0.4325/share to $0.435/share. If this prediction proves to be correct, the raise will increase my annual forward dividends by $0.09 across my 9 shares. I believe that EQM will continue its streak of increasing dividends every quarter by announcing an a 2.4% in the quarterly dividend from $1.115/share to $1.14/share. If this does happen, my annual forward dividends will increase by $0.40 across my 4 shares. Phew, this was quite a lengthy write-up. I wouldn't have it any other way! Overall, I received 7 raises for the month of December! One of which, I expected would increase dividend in January, but I'll take that Dominion raise any time of the year. 9.9%, thank you very much! These 7 raises increased my annual forward dividends by $2.914, which is undoubtedly my largest increase in annual forward dividends in a month stemming from solely dividend raises. It would take an investment of $72.85 at a yield of 4% to create the same impact as $2.914 in dividend increases. Although there will be an inevitable slowdown in January, it appears as though my annual forward dividends should increase by about $0.874 for the month of January from dividend increases alone. Along with my occasional fresh cash contributions and dividend reinvestment, the portfolio continues to make strides. Has your December been as full of raises as mine? Are you expecting any raises in the last few days of this year? As always, I welcome and appreciate your comments. Thanks for reading and keep on rolling that dividend snowball! December has turned out to be my worst month of 2018 for dividend raises. I had the small O and WPC raises, but that's it. I am expecting more than a handful in both January and February to make up for it though. However, every bit helps. Here's to a stellar 2019 for dividend raises! Thanks for the comment, ED! Although the next few months will be fairly light for me in terms of raises, I'll be receiving at least 7 in April.